​Smith's love for Jesus was present throughout her environment. She painted numerous portraits of him and conceived a variety of ways to depict the Christian Trinity. ​Smith's love for Jesus was present throughout her environment. She painted numerous portraits of him and conceived a variety of ways to depict the Christian Trinity. Religious iconography appeared in abstracted form all along her fence. 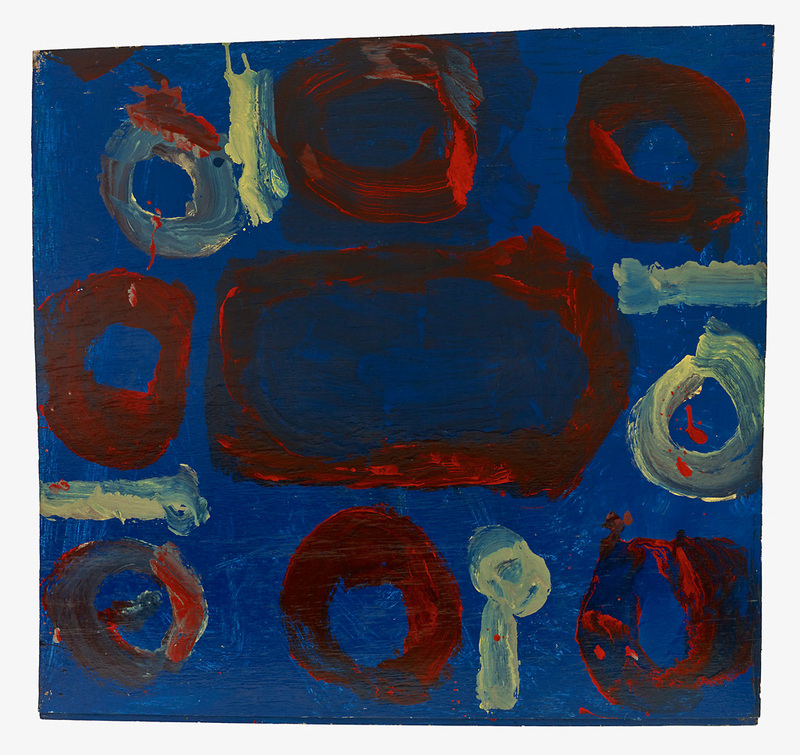 One distinguished painting, consisting of circles and lines in red on a blue ground, is actually an abstract Last Supper–"Jesus’ Supper," she called it.